UNDER A WEEK TILL VALENTINES DAY! 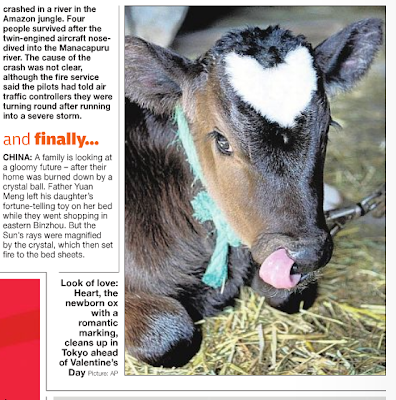 LOOK WHAT I SAW IN THE METRO TODAY........THE COWS ARE ON IT!! !